What will the future of edge computing look like? Hugh Carspecken has spent the last three years seeking to perfect a platform to deliver on that future. Carspecken is the CEO and co-founder of DartPoints, which launched in 2014 with an ambitious vision to build a national network of micro data centers. After testing its model with a proof-of-concept, DartPoints has built several sites in the Dallas market. The company is now ready to take its micro data centers in five new markets, including Phoenix, Las Vegas, St. Paul, Minnesota, Kansas City, Kansas, and the Greater New York area. DartPoints says it also expects to double in revenue and size in 2017. DartPoints has been working closely with Schneider Electric to realize its vision for a repeatable design, as well as understand the demand side of the equation – where micro data centers will be needed, and when. This has led to a two-phased approach to the market, with the first phase offering micro edge data centers to expand on-site IT infrastructure for small to medium-sized companies. The second phase targets carriers that will need to rapidly expand their wireless infrastructure to support 5G broadband services, which may begin arriving as soon as 2019. Where is the edge? Edge computing means different things to different people, and DartPoints is pursuing an “edgier” vision of small form factor data centers in local markets. In January we cited 2017 as a key year for the emergence of infrastructure for Edge Computing, a trend being driven by the increased use of consumer mobile devices – especially consumption of video and virtual reality content – and the growth of sensors as part of the Internet of Things. That creates a challenge for U.S. data center infrastructure, which is concentrated in six major business markets, with additional infrastructure in some smaller cities and some cloud hubs in rural areas. 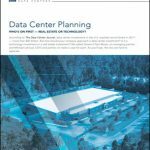 We’ve seen several data center businesses capitalize on the broader geography of data, most notably EdgeConneX, which has built a network of lights-out data centers using a repeatable design. The regional data center market has also been the focus of M&A activity, with Cologix and 365 Data Centers being acquired, while TierPoint and Digital Bridge have been absorbing smaller players and facilities. DartPoints is distinctive because it is targeting the micro-data center layer, and building smaller facilities than any of these regional players. As data centers get smaller, it becomes critical to match capacity to demand. 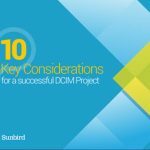 Mistakes can be expensive, as data center construction costs range from $5 million to $15 million per megawatt of capacity. That’s why DartPoints is seeking to deploy space in digestible chunks. An On-Premises Model for the New Economy? At a conceptual level, the micro edge data center strategy may seem like a trip back through time. For many years, data center service providers have characterized the on-premises IT room as an inefficient relic of the past. A key selling point of cloud computing is enabling small companies to eliminate their local servers. Carspecken says the growth of edge computing and latency-sensitive apps requires a new kind of IT infrastructure for offices and corporate HQs. “There are a lot of companies that have been watching the cloud from the sidelines,” said Carspecken. “They’re realizing that things are moving fast. Many of these enterprises have significant footprints at their offices, and they’re not planning on moving. Working on premises simplifies some aspects of the project, said Carspecken. 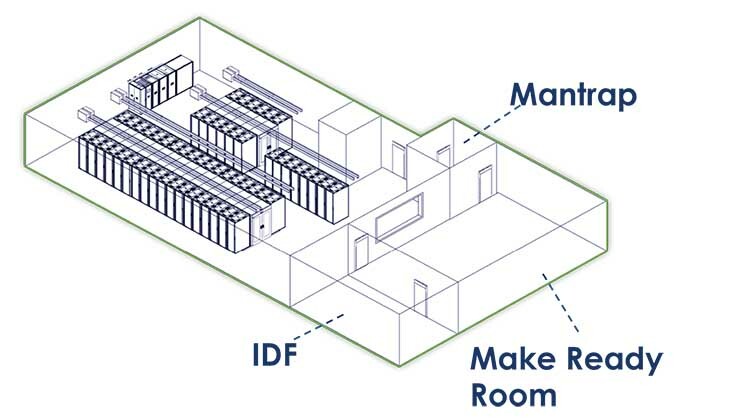 A standard DartPoints data center design. The typical DartPoints micro edge facility is installed in about 2,500 square feet of space, including a 1,500 square foot data hall that can hold about 20 or 30 racks. The layout also features a man-trap to provide access control and security, and a ready room for staging gear. The DartPoints design is repeatable and standardized, which makes the economics work at smaller scale. 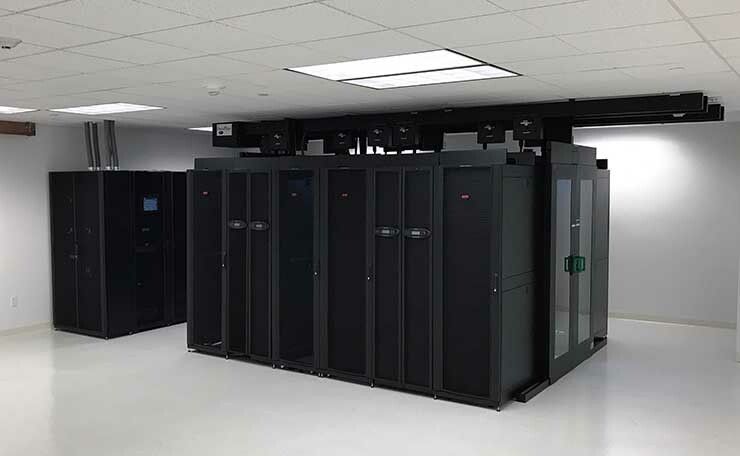 Schneider came up with a basic building block consisting of a Symmetra PX100 UPS, EcoAisle containment systems, in-row cooling units, and Struxureware for DCS management software. Peterson says the Schneider gear can be fully deployed in an open room in about 45 days. The full application of the DartPoint edge vision lies further in the future. Carspecken says the company is working on future projects to deploy distributed infrastructure for 5G, the next-generation of wireless broadband. “The real market is the wireless carriers and cloud operators,” said Carspecken. “There are applications that will be very location-sensitive. In the last year we’ve started to understand how carriers might use our micro edge data centers at the edge.